It’s olive harvesting time here in Tuscany, and the oil mills are in full swing, so when our extra virgin olive oil starts flowing into the tanks I personally can’t wait to get back home and taste it on a slice of saltless Tuscan bread. 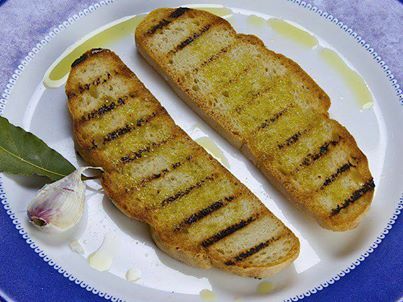 You slightly grill the bread, gently rub a clove of garlic and then top it with olive oil, in this case the first oil of the season, salt and pepper. In Tuscany, this is called the fettunta. It is not to be mistaken with its richer ‘cousin’, the bruschetta. Actually I consider the fettunta the forerunner of the bruschetta. 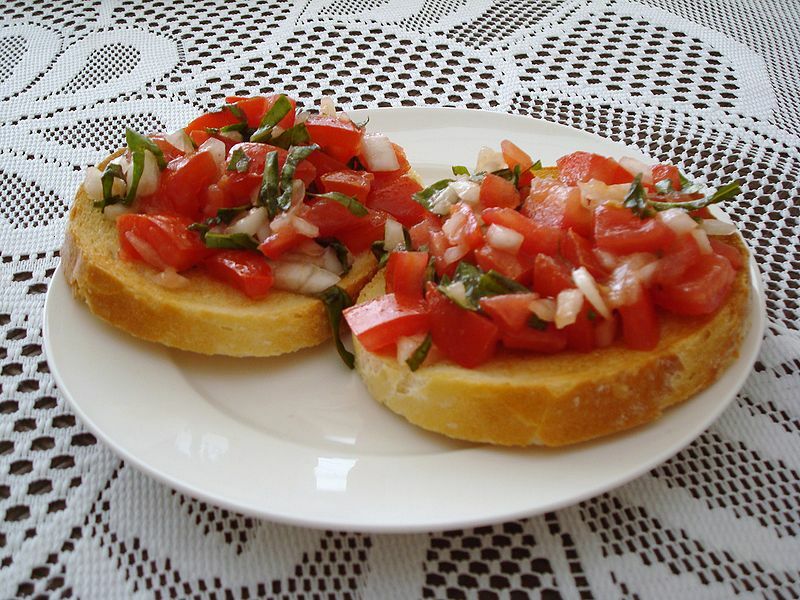 The name itself is the contraction of the words fetta unta, “oily slice”, which is clearly the basis of the bruschetta. The ‘decedent’s’ name, instead, comes from the old dialectal verb bruscare, meaning ‘to roast over coals’. 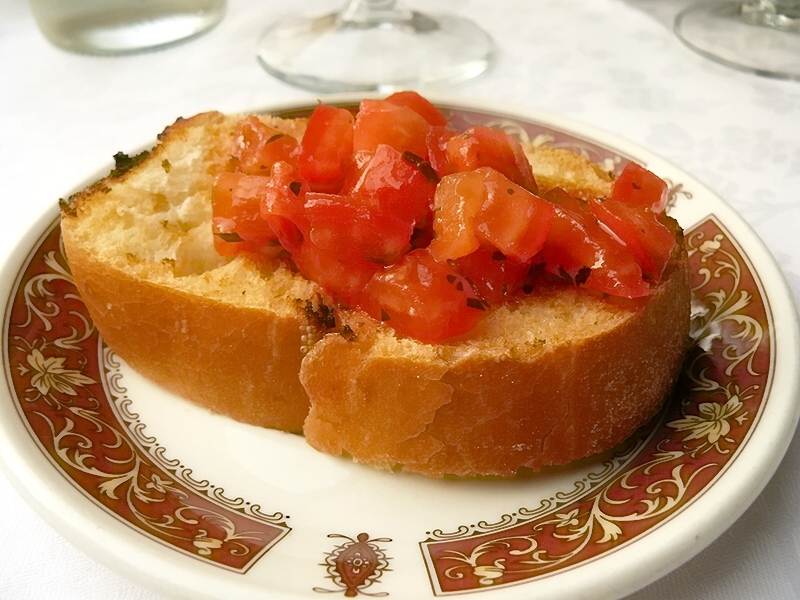 Today the bruschetta is well-known also outside Italy and generally served as a snack with a good glass of Tuscan wine or as appetizer during a meal. The original recipe uses the fettunta basis and then adds chopped tomatoes and basil to the topping. Preferably a trickle of olive oil is also poured over the tomatoes. Variations may include adding chopped onions or other toppings of vegetables, beans, cured meat or cheese, such as mozzarella. Every Italian region has its favourite. Personally I stick to the cubed tomato version with a sprinkle of basil. Whatever your preference, the secret of a good bruschetta is top quality ingredients and above all the olive oil. Now let’s get back to the picking. 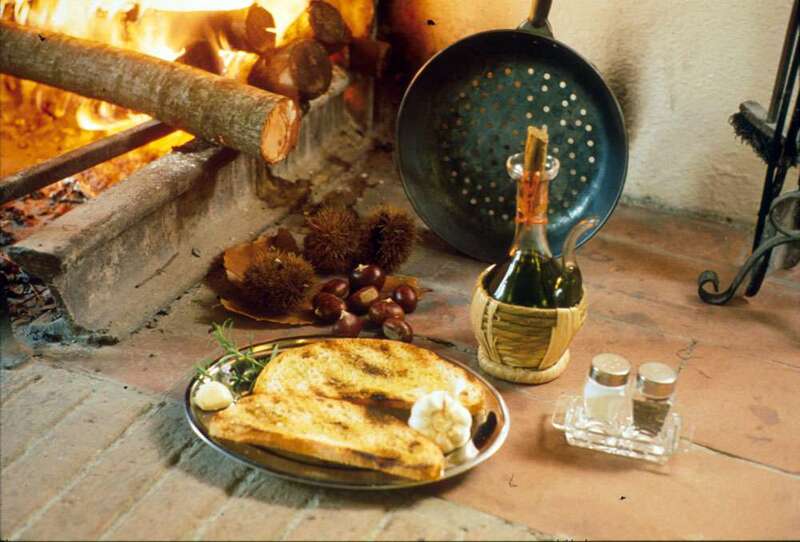 Questa voce è stata pubblicata in Accommodations in Tuscany, Culture and accommodations in Tuscany, Tuscan food and wine, Tuscan lifestyle, Tuscan recipes e contrassegnata con accommodations in Tuscany, bruschetta, fettunta, Tuscan lifestyle, Tuscan olive oil, Tuscan recipe. Contrassegna il permalink.